More catching up and more animals (of course). 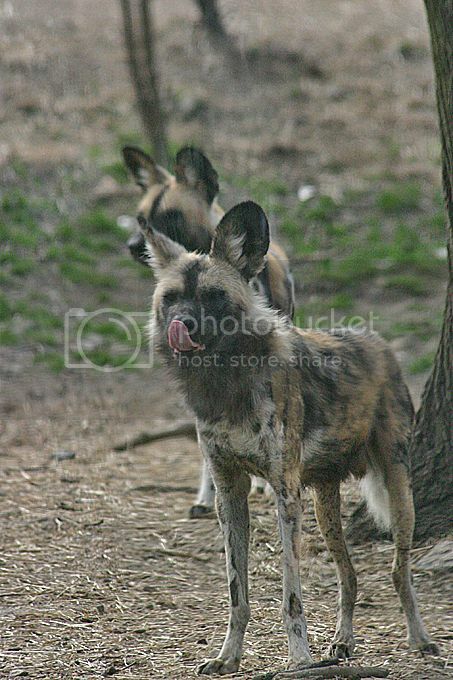 We have a wonderful exhibit of African wild dogs at the Bronx Zoo. Some of the smartest and most effective hunters - and one of the most altrusistic species - these gorgeous animals are also known as Cape hunting dogs and - wait for it - painted dogs. 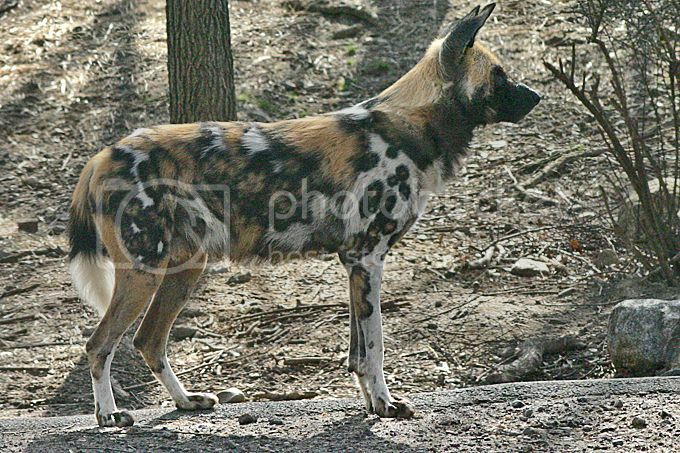 This is pretty boring as photos go, but it's a great illustration of why they're called painted dogs. No two dogs have the same markings, but they all have white-tipped tails. And since I have a weakness for photos of animal tongues (as you may have guessed from my last post), here's a personality shot for you. Great (and very creative) shots! I hadn't seen those dogs before. They do look like they got too close to a can of paint, don't they. Oh, what an intersting species! And such a lovely colouring, too! Great shots.